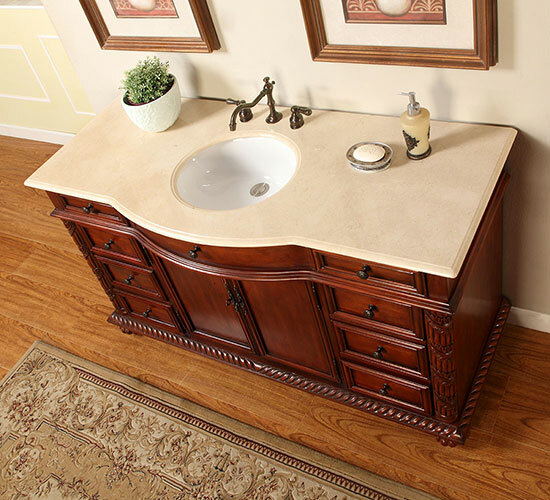 Gorgeous doesn't even begin to describe the 60" Octavius Single Bath Vanity. With its beautifully warm finished cabinet and spacious storage room, you won't be looking for more elsewhere. 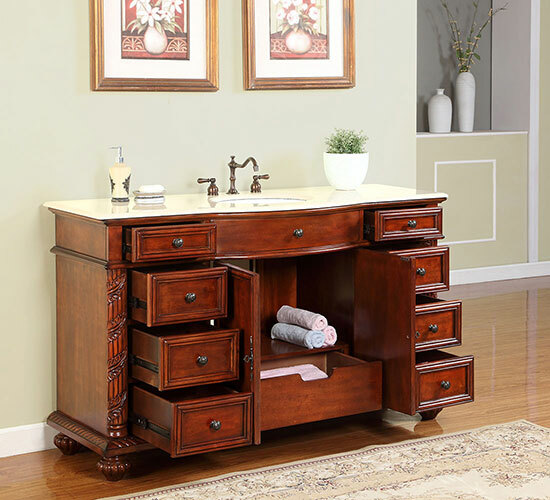 It boasts nine fully-functional drawers with a central double-door cabinet for all your bathroom necessities. It is then topped with a Cream Marfil marble top and matched with a white undermount ceramic sink. Faucets are not included.